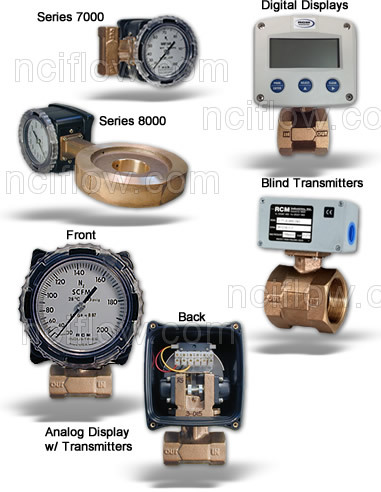 Compressed air flow meters are well suited to monitoring compressed air flow rates. These meters plumb directly into the pipelines and require no external power connections. Use these meters to determine the air consumption of tools for improved accounting and increased efficiency. The Flo-Gage flowmeter has been developed for industrical applications where durability and reliability are important considerations in the monitoring of flow. The Flo-Gage has accuracy for most industrial processes and is particularly suited for applications where compactness, low cost, minimal maintenance and resistance to accidental damage are important factors. Other compressed gases can be monitored as well. Common gases monitored include nitrogen, oxygen, argon, carbon dioxide, natural and LP gases.